Watching your dog suffer from anxiety is brutal. You wish you could explain to them that everything will be alright, but of course, they don’t understand. All they know is that they are scared. Whether your dog suffers from separation anxiety, is terrified of traveling, feels threatened by thunderstorms, or deals with another type of anxiety, all you want is for your dog to feel more relaxed so they can enjoy a better quality of life. I know from experience how difficult it can be to find solutions for your dog’s anxiety: the Thundershirt works great for some, but not all dogs. 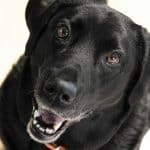 Some vets recommend pheromone diffusers, but they didn’t do a thing for my dog’s anxiety, and long-term medication use can have its own downsides and side effects. That’s why we’ve come up with this list of the 5 best calming treats for dogs. These natural dog calming aids come with mostly positive reviews from actual dog owners who have generally seen great results after providing the treats to their dogs. You may realize from our top picks below that choosing a calming treat for your dog isn’t as simple as you may have hoped. There are many factors you must consider when picking calming treats for your dog. Do you want to try or avoid hemp? Hemp is an increasingly popular ingredient in calming treats, so you must decide whether that’s something you want to give your dog or not. Is the treat grain-free? If your dog isn’t on a grain-free diet, then it doesn’t matter, but for dogs who do better without grains in their diet, it can be tricky to find calming treats that are grain-free. Where are the treats made? Since other countries have different quality standards than the United States, it’s typically better to go with treats made in the USA. Does the company offer a refund? 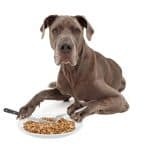 It’s a simple fact of the matter that no calming treat will work on every dog, and some dogs are extremely picky eaters. Since calming treats tend to be more expensive than other treats, look for companies that offer money-back guarantees. 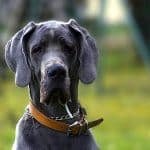 The biggest factors when considering dog calming treats are that they must be TASTY and they must be EFFECTIVE. 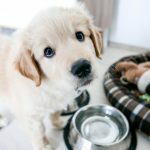 After all, no dog treat is effective at relieving anxiety if your dog refuses to eat it, and it doesn’t matter how tasty a treat is if it isn’t helping your dog’s anxiety. CeeBeeDoo calming treats come in 9 tasty flavors, so you’re sure to find a flavor your pup will love. Hemp oil helps dogs relax naturally without the high-causing effects of THC. Additionally, these treats may help relieve pain from conditions like arthritis. 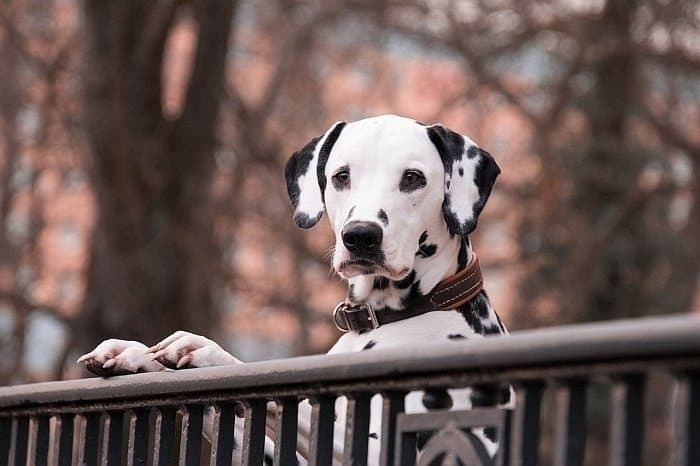 Owner Reviews: Nearly all of the reviews were from owners who found that the treats relieved their dog’s anxiety, pain, or both, and most dogs loved the treats. There were a few complaints about dogs not liking a particular flavor, and a couple of people didn’t see any effect on their dogs, but most people were thrilled with everything about the product apart from the small size of the container and the high cost of the product. Bottom Line: With 9 different flavors to choose from and tons of people praising the effectiveness of these treats, the CeeBeeDoo dog treats should be your first pick when choosing a calming treat for your dog. Chances are very good that there will be flavor your dog loves that also reduces their anxiety. While some hemp oil products are only made from hemp seeds, the Mr. Hempy Hemp Oil Treats are made from the entire hemp plant, and each treat contains 10 mg of full spectrum hemp oil. Unlike some other hemp treats, these are very clear about how much hemp oil is in each treat, so you can be confident in how much hemp oil your dog is getting. 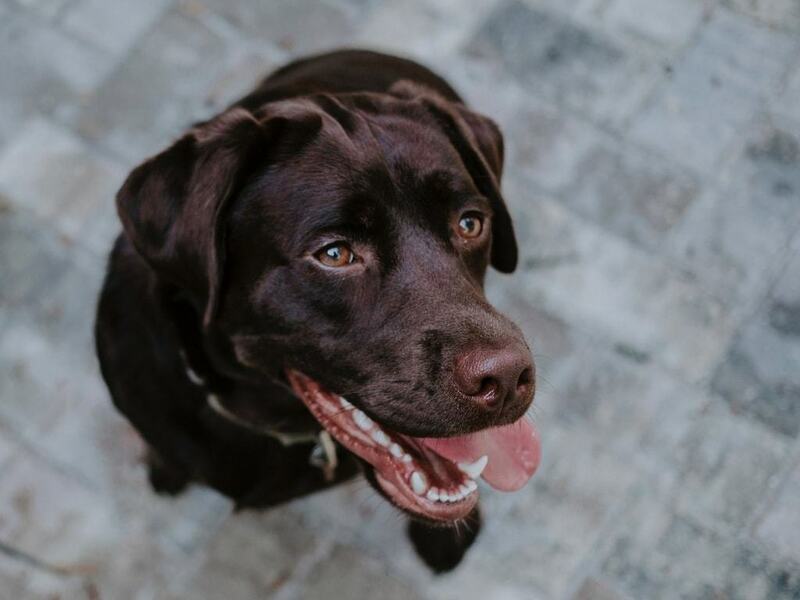 Bottom Line: If you want the peace of mind of knowing exactly how much hemp oil your dog is getting per treat, these are going to be your best bet, and most people saw impressive improvements in the anxiety or pain of their dog. Unlike most calming treats, these come in a LiquiPak, which is supposed to help cut the activation time down compared to solid treats. Unlike the other treats in our list, these are free from hemp and instead contain l-theanine and Ashwagandha root to calm pets without the drowsiness that hemp oil may cause. LICKS are made in the United States from human-grade ingredients and are up to 10 times more effective than solid treats. Unlike hemp-based treats, Dog Zen LiquiPaks only treat anxiety and don’t provide any other benefits. Owner Reviews: There is only one complaint about this product not working and a couple of complaints about the cost, but most dog owners rave about how well these LiquiPaks work and how much their dogs love the taste, even when they’re already so stressed out they won’t take normal treats. The product is a little oily and can be difficult to dispense, but owners say that it’s totally worth washing your hands after dispensing it thanks to how well it works. Bottom Line: If you want to avoid hemp oil or you have a dog who doesn’t need the added pain-relief benefits of hemp oil, these Dog Zen LiquiPaks are going to be your best bet for a product that actually works to help relieve your dog’s anxiety. Additionally, a portion of each purchase is donated to the National Mill Dog Rescue to help dogs in need. Owner Reviews: While these treats didn’t help relax all dogs, they did help the majority of the dogs who tried them. While there were fewer comments about improved pain levels compared to other hemp treats, even hyper dogs seemed to be calmed down by these treats. Most dogs like the taste, and with 120 treats per jar, this product is a better value than some of the other treats in our list. Bottom Line: If you’re hesitant to try some of the more expensive treats on our list, these are a great product to start with. You get many more treats per jar than some of the other treats, and most people report seeing their dogs calm down significantly within about an hour of eating one (or more, based on the dog’s size) of these treats. The Plano Paws Hemp treats combine 6 natural ingredients – organic hemp protein powder, thiamine, organic chamomile, valerian root, l-tryptophan, and l-theanine – for the ultimate calming treat. Unlike some of the other treats on our list, these are grain-free. They’re made in the USA and have a lifetime satisfaction guarantee. These treats are non-GMO and contain no corn, wheat, or soy. They also don’t have any artificial flavors or preservatives. Better than that, for every product sold, they donate 1 pound of dog food to a shelter in need. Owner Reviews: There were more complaints from owners about their dogs not liking the taste of these treats compared to the others on our list, as well as more complaints that the product didn’t help their dog’s anxiety. However, there were still more than enough people raving about how much these treats helped relieve their dog’s anxiety to make up for the complaints. Bottom Line: There is a chance that your dog won’t like the taste of these treats or that they won’t work, but if you’re looking for a grain-free, affordable option, these might be the best place to start. A word of caution, though – there are a few reports of it making dogs paranoid or even more hyper, so give these treats when you’ll be home to watch your dog the first time. Why is Hemp Oil so Popular in Calming Treats? You may have noticed that 4 out of the 5 dog calming treats on our list contain hemp oil. Hemp and CBD oil are becoming increasingly popular for treating conditions like anxiety, pain, and seizures in both people and pets. Marijuana is one strain of the cannabis plant, and it is illegal under federal law since it contains the high-causing compound of THC. Hemp is a different strain of cannabis plant that is legal because it contains trace levels of THC. Rather, it contains CBD, a compound that seems to affect the endocannabinoid system without the high of THC. Technically, hemp oil is only made from the seeds of the hemp plant, while CBD oil is made from the stalks, buds, and leaves of the hemp plant. However, the terms “hemp oil” and “CBD oil” are often used interchangeably. 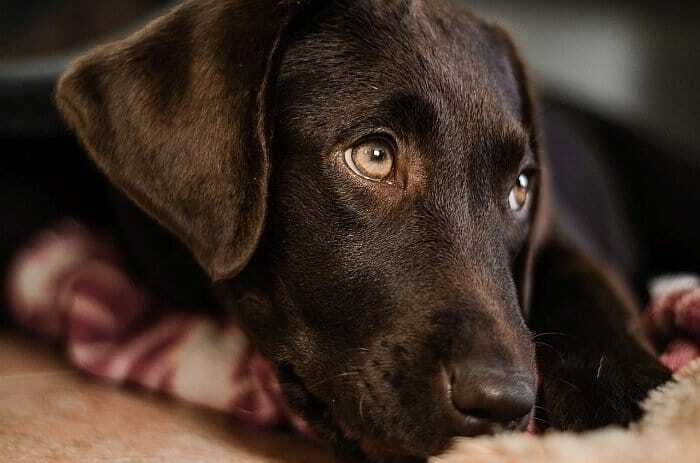 Very little research has been done yet on how effective CBD oil is for pets, but human research has shown that CBD oil may help improve anxiety and other problems in people. There are plenty of anecdotal stories of how effective CBD and hemp oil are for dogs, however. The simple fact of the matter is that people are giving hemp-infused calming treats better reviews than calming treats that don’t contain hemp. Without any scientific studies yet, that’s the best evidence we can find that hemp oil truly helps relieve anxiety in dogs. There are a ton of calming treats for dogs on the market these days, but we’ve done our best to recommend the best of the best to help reduce your dog’s anxiety and help them lead a better quality of life. If one type of calming treat doesn’t work for your dog, don’t be afraid to try another. You owe it to your dog to help them find relief for thunderstorms, traveling, being alone, or anything else that causes them unnecessary anxiety. 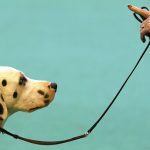 Have you had great success with a dog calming treat not mentioned here? Be sure to leave a comment down below to help out our other readers!